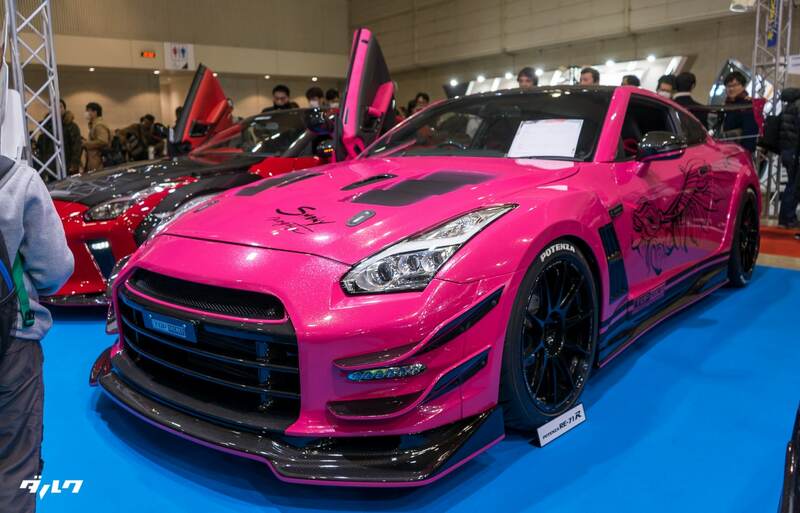 Tokyo Auto Salon is Japan’s premier event for car tuners and modified vehicles. In 2018, it drew together 442 exhibitors displaying 880 vehicles to over 300,000 attendees over the weekend of January 12-14. We went out to Makuhari Messe, in Chiba Prefecture, to take it all in. Not only is Tokyo Auto Salon a showcase of the very best Japan’s aftermarket automotive industry has to offer, but it’s one of the biggest modified car shows in the eastern hemisphere, attracting companies from the rest of the continent to display their wares to the Japanese tuner market. to full-blown, complete customs for every class of vehicle at every budget point imaginable. In addition to the cars, there was an event space with performances from artists like Hitomi, Do As Infinity, Noriko Sakai and the Cyberjapan Dancers. There were demo-runs from the legendary Ken Block as well as drift demonstrations by pro D1 drivers. And of course, there were the Campaign Girls (Can-Gals), many of whom have their own fans that traveled to Tokyo from around Japan just to see them, not the cars. From slammed k-cars to custom, multi-million-dollar one-off hypercars, the Tokyo Auto Salon should be on every custom car fan’s bucket list. It’s essentially the SEMA of the East. A madman who decided that creating images was the way to earn money in a world that doesn't pay for it. When not scraping by each month, I try to spend as much time as possible with like-minded folk in underground subcultures or behind the wheel on Japan's serpentine mountain roads.